Through the World Federation, the National Federation and the Clubs we promote this magical sport and teach to our members to sail with safety. Sailing is not just a sport, is not just holidays and definitely is not for the few. Sailing is a way of life and this way is that our Club would like to make it easy and affordable for everyone. Our love for the sea, the vast experience of ourinstructors, our big fleet of various types of boats, our state of the art installations and our complete courses of races, flotillas, regattas, lessons and seminars, justifies us to invite everybody to join us and discover the magicalworld of sailing with N.A.S.C. 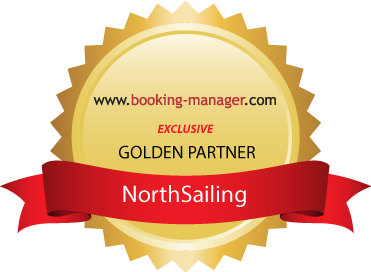 North Aegean Sailing Club, is certified from Hellenic Sailing Federation, and organizes Offshore Sailing courses through an exemplary sailing center with years of experience in the field and an honest love for the sea. There are classes for beginners, advanced, and professional skippers, racing department and college student department. The course can take place in a regular base, accelerated or in private. The objective is to obtain the knowledge and experience needed in order to sail a boat and obtain an international sailing diploma, recognized throughout the world and without miles limitation, for a sailing boat up to 20 feet. Classes are taught throughout the year ant the time of the attendant at Keramoti, Thassos [ Kavala ], Porto Lagos [ Xanthi ] and Fanari [ Komotini]. CERTIFICATE: Certifies specific technical knowledge and training miles. Those who are certified are suggested to yachting companies for job opportunities. With one of our fleets sailing boats and our experienced instructors as captain, you can enjoy your dream holidays and obtain a sailing diploma. ALL PASSENGERS TAKE A DIPLOMA? Only the passengers that wish it, can obtain a diploma. The rest may enjoy their vacation. We also offer the choice of “course and holiday” for couples that would like to combine sailing vacation in private and obtain a sailing diploma. We use the Bavaria Match 35. Their nature, how is their sailing attitude, mechanical and other systems, ways of docking. The participants of the seminar will have the opportunity to attend educational presentation, while they are going practice on catamaran sailing boats of our fleet in small groups. The seminar concerns sailors with or without experience, who want to practice on catamaran. The 3days seminar aims at giving all knowledge to the participants in order to be comfortable as a skipper on a catamaran. Everything a skipper needs to know. Docking technics with stern-bow and by the side. Docking with anchor and mooring on other boats. Technics of embarkation-disembarkation with all weather conditions. Effects of the rudder and the propeler. All above and even more will be accomplished in the docking seminars. Participants will have the opportunity to attend a presentation and practice in small groups. We use sailing and motor boats. The aim of the seminar is to concentrate the experience of 2 years docking, in 2 days. Experienced members of N.A.S.C. organise sailing trips in Aegean and Ionian Sea. This is a very good opportunity for all our members to participate and combine beautiful vacation and gaining experience. Price upon request depending on the period, duration and boat.